Looping a video on Vimeo means making it replay again again, from the beginning to the end, infinitely. 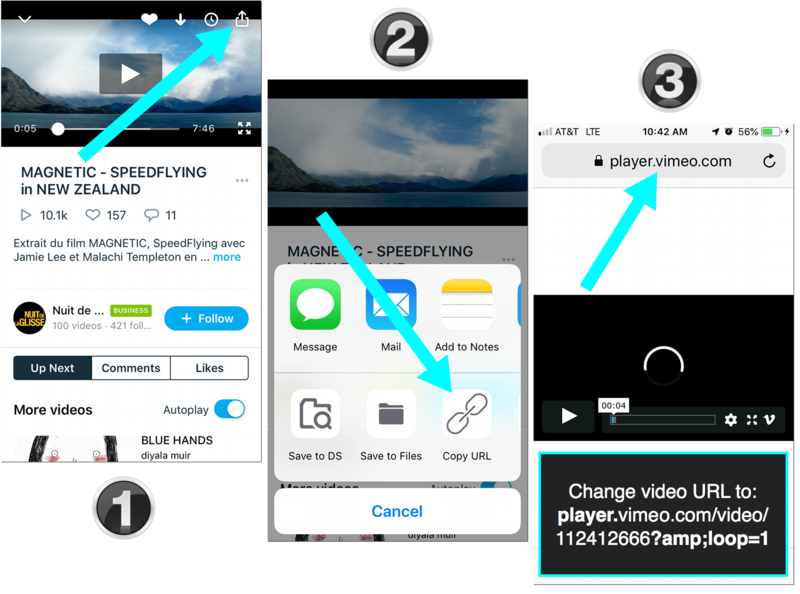 In other words, looping is repeating a video automatically. 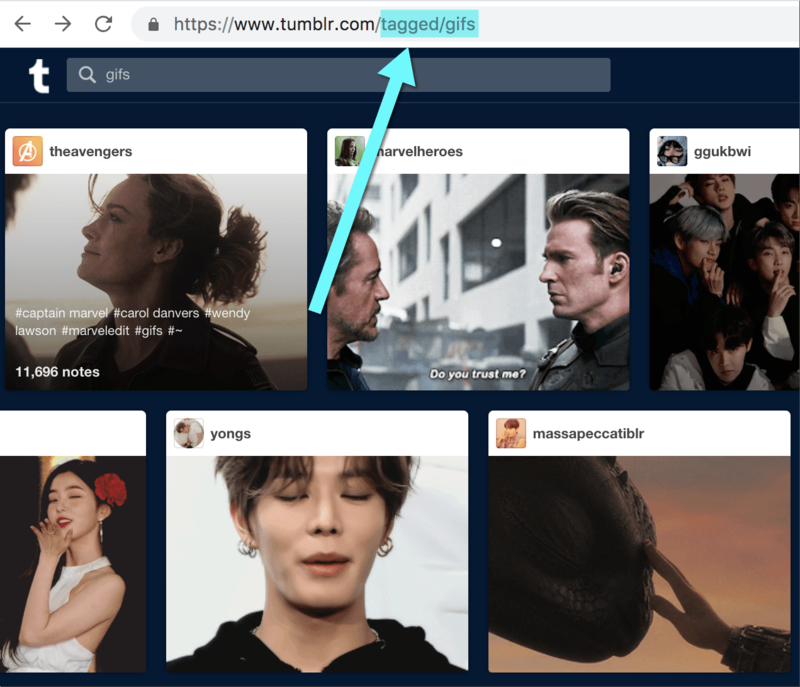 It’s a nice option to have because Vimeo has a huge selection of great creative videos you may want to watch or listen to several times. Unfortunately, Vimeo video player isn’t making it easy. There’s no built-in option to loop a video. 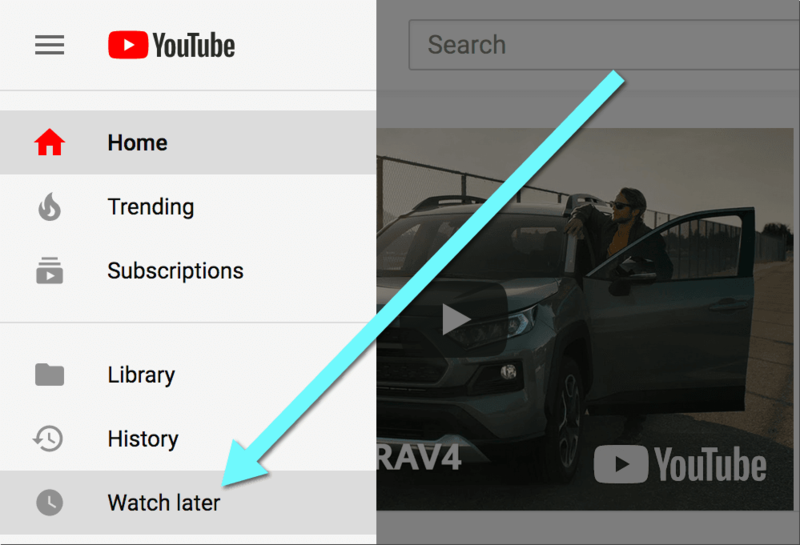 All you can is to enable an auto-play to get the next video play automatically. The video will keep playing until you pause it or close the tab. 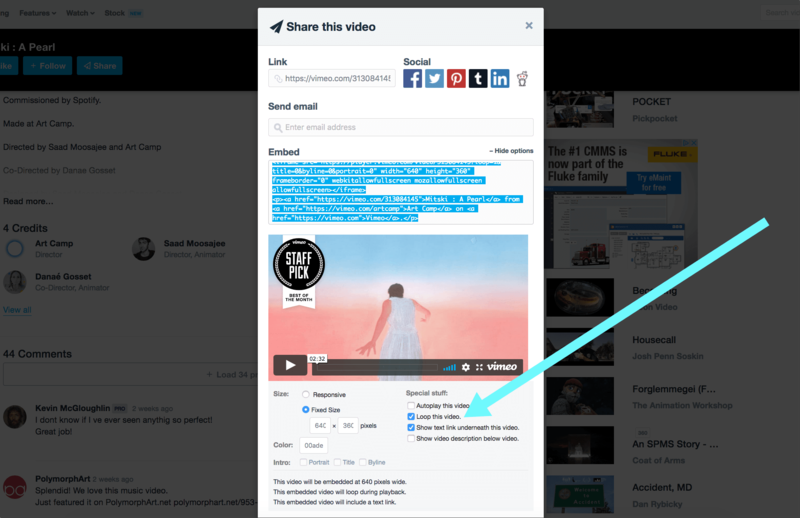 When you embed a Vimeo video on your page, it will show suggested videos to watch once the user reaches the end of your video. Unfortunately, Vimeo mobile app doesn’t offer looping functionality. 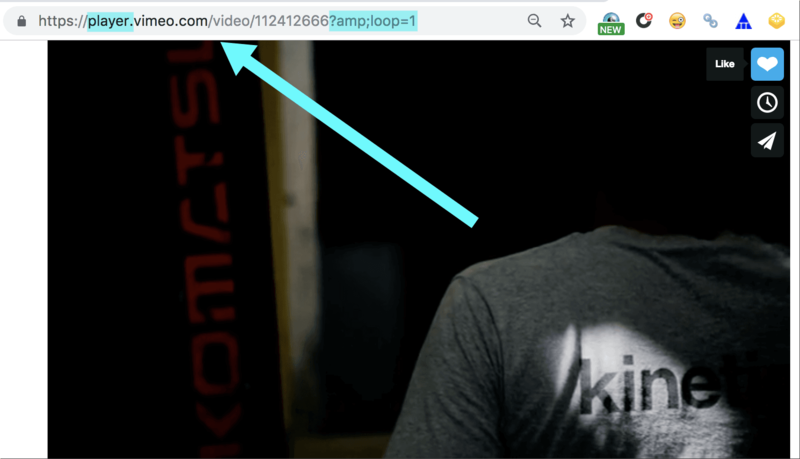 You can open any video in the browser and loop it using the same trick. Vimeo is one of the most creative resources out there. It’s the only video creating and sharing platform that supports and spotlights video artists. You are likely to find unique music clips, short movies and documentaries on Vimeo. 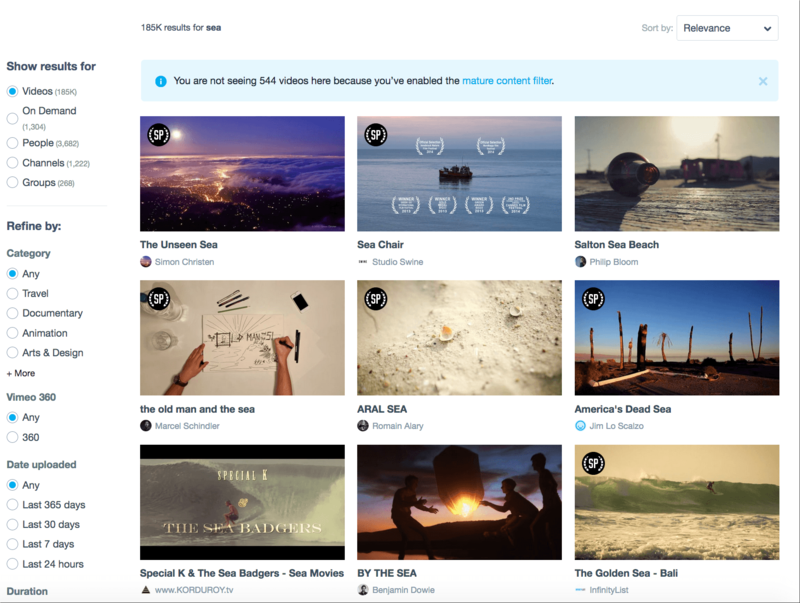 If you thought of Vimeo as a quieter Youtube alternative, you couldn’t have been more wrong. Vimeo video selection is unique. In fact, there are many more videos on Vimeo I feel like looping than I ever saw on Youtube. If you are looking to get inspired or simply relieve stress, Vimeo is a great place to start. 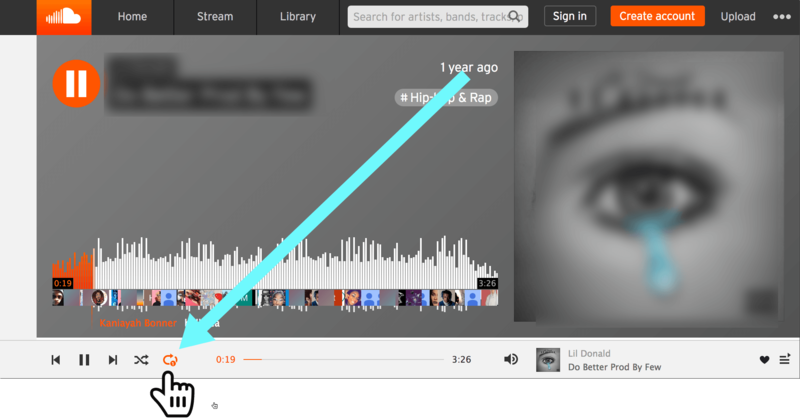 Check out Vimeo Explore to get a better idea of the video content featured on Vimeo.